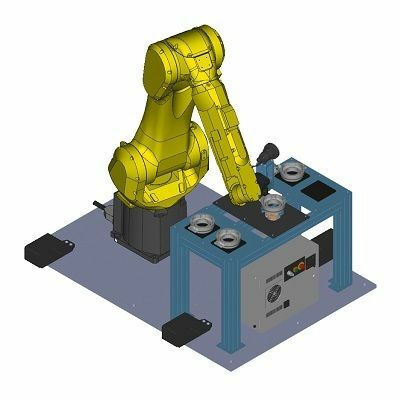 FANUC ROBOGUIDE is a robot simulator that simulates both the robot’s motion and application commands, significantly reducing the time it takes to create new motion setups. To ensure minimal impact on production, cells can be designed, tested and modified entirely offline. To save 3-D modelling time, part models can be imported from a PC as CAD data. 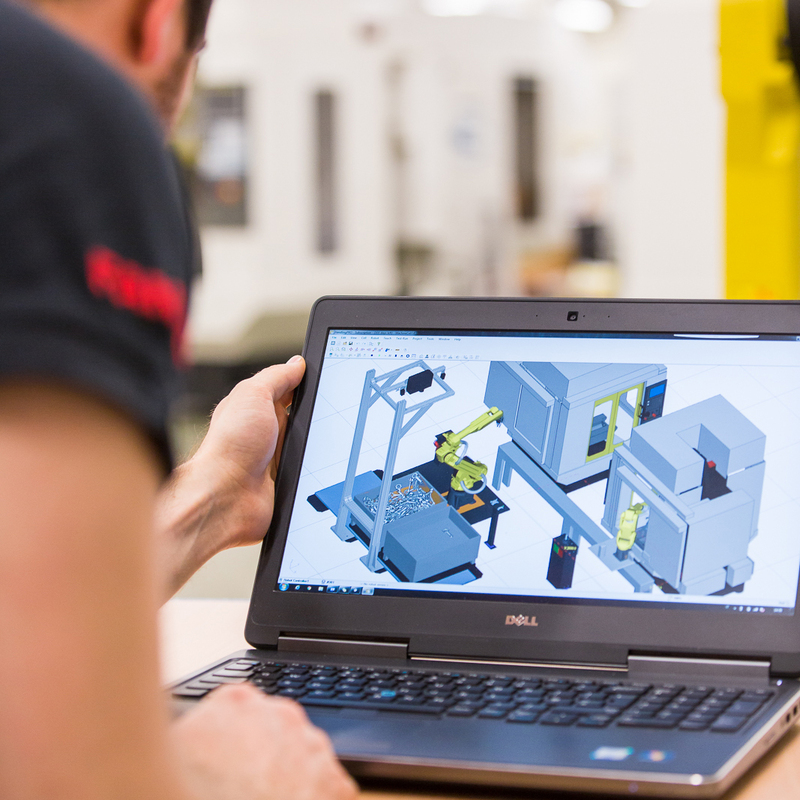 The robot simulation software’s extensive library also allows users to select and modify parts and dimensions as required. Designed to be intuitive and extremely easy to use, ROBOGUIDE requires very little, if any, training. It is also available with dedicated tools for specific applications. To ensure optimal cell design, ROBOGUIDE lets you model cells and select the most suitable robot for your application and setup. With an internal virtual controller cycle times can be calculated and validated both quickly and accurately. 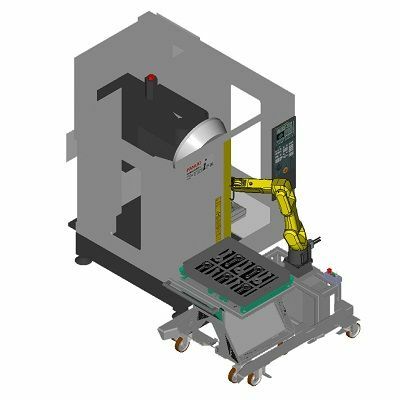 ROBOGUIDE’s modifiable templates make setting up auxiliary axes, positioners and multigroup machines easy. These can then be tested for functionality to confirm cycle times, duty and power. The ability to import CAD models of existing parts, fixtures and grippers enables you to build layouts and evaluate systems. Automatic program generation reduces the need for manual programming. For trouble-free work cell development, the Wizard guides you through processes such as robot model, control and software selection. Using the Browser provides quick access to work cell configuration details, allowing you to expand, check and modify them. Instant access to many commonly used fixtures, tables, conveyors and end-of-arm tools. Additional 3D shapes are provided as modelling tools to create custom machines, tools and/or fixtures. You can build and save your everyday CAD library. ROBOGUIDE is also available with a number of application-specific software tools. Whether it's deburring, handling, paint spraying, palletising or welding, every single motion-planning tool has been designed to improve productivity by eliminating the risk of error and reducing setup and cycle times. A step-by-step navigator lets you generate and simulate deburring programmes automatically. To generate the deburring paths, just click the lines to be deburred on the 3D CAD data. 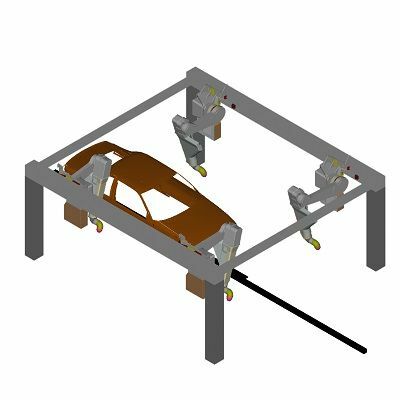 Simulate and test material handling processes and conduct feasibility studies for robotic applications without the physical need and expense of a prototype work cell setup. Graphical ofﬂine programming solution that simpliﬁes robotic path teaching and paint process development. It contains special functionality for setting up paint gun displacement, spray size, overlap, paint pattern, paint speed and gun trigger timing. Robot program development software that supports the development and maintenance of KAREL and Teach Pendant Programming. Can be used to completely build, debug and test a palletising application ofﬂine. The data created in PalletPRO can then be downloaded to a real robot controller containing the PalletTool software. Simulate a robotic arc welding process in the 3-D world. 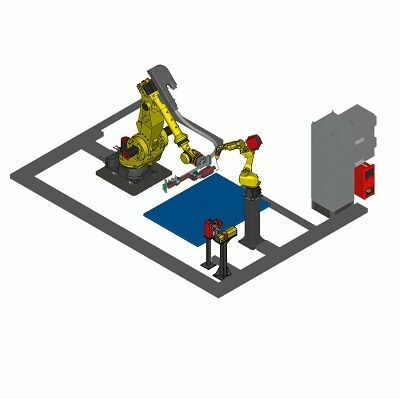 Driven exclusively by a FANUC Virtual Robot Controller, WeldPRO is empowered with the most accurate program teaching tools and cycle time information available in any simulation package. 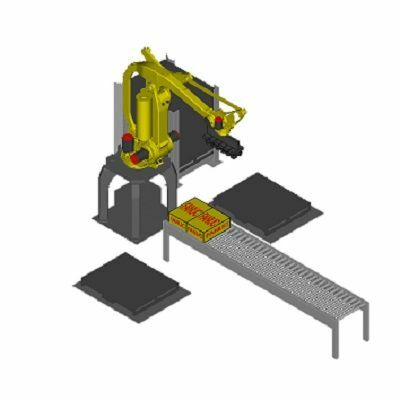 FANUC’s latest plug-in to the ROBOGUIDE off-line programming tool, allows users to simulate high speed pick and place applications. iRPickPRO can then be downloaded to a real robot controller containing the iRPickPRO software. ROBOGUIDE’s onboard library provides instant access to any FANUC robot. 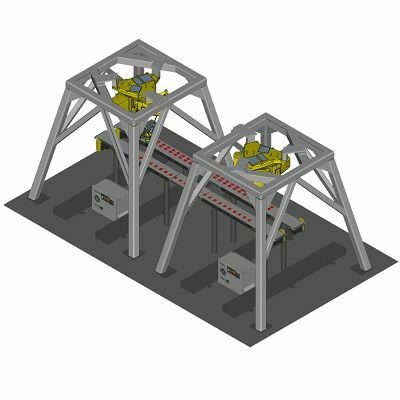 For complete system modelling and simulation, each robot comes with a Virtual Robot Controller and 3-D CAD model. Because new cell layouts, models and programs can be generated offline, creating new setups has absolutely no impact on production. Enhancing and debugging can take place with production running and at zero risk of downtime. Loading an All of Above Backup into ROBOGUIDE makes reproducing and solving errors easy. 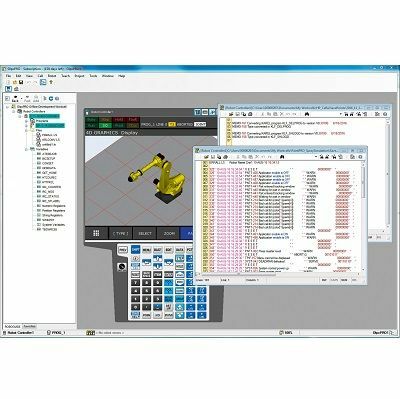 The robot simulator contains a full package of process verification tools including motion, execution and cycle time validation as well as collision detection. Allows you to calibrate fixtures, obstacles, machine objects, and parts that are associated with fixtures. You can teach in 3-D.